Fall fashions arriving weekly at our new location. Comfy tweed sweaters with leather piping, fashionable infinity scarfs in colors to match your wardrobe. New fall jackets from California to top off your favorite pair of jeans. Lisette pants are now in stock and featured in all of the Fall fashion magazines. Trendy jewelry to match that perfect outfit or dress you will find at Deni’s. Update your closet for cooler weather! We also have the sought-after Big Buddha handbags. Our summer tent sale is going on now at Deni’s Closet. Enjoy dramatic markdowns on Deni’s trendy selections for a limited time only. Stop in and see just how much you can save on looking your absolute best! Deni’s is ready for summer! All the best seasonal fashions are now in stock for your trip to the beach: bathing suits, summer hats, and a new & beautiful selection of coverups that will take you straight from the beach to dinner. 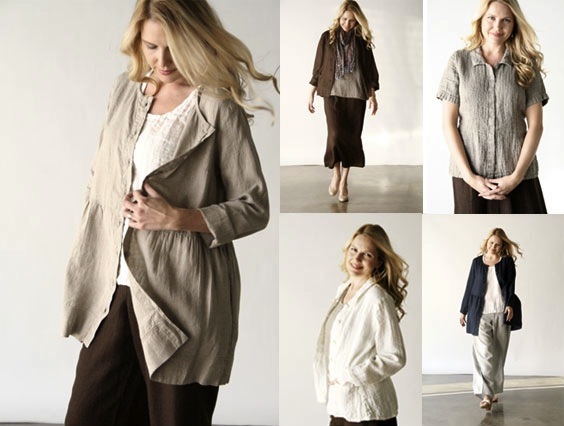 Also a new line of linen fashions for that warm weather that is sure to arrive! Tent Sale going on now! Our semi-annual tent sale is going on now at Deni’s Closet. This is the fashion event everyone will be talking about!! Enjoy dramatic markdowns for a limited time only. Stop in and see just how much you can save on looking your absolute best! JUMP INTO SPRING with new fashions! JUMP INTO SPRING with new fashions at Deni’s! Just arrived: new spring Jackets with the right colors and fabrics to help you transition into Spring. Also, check out all of the new fashions to “top” off your jeans with coordinating scarfs to bring the fashion forward. The forward trend for Spring & Summer is a new floral look; do it with the floral accessories at Deni’s. The number 1 accessory this year is the handbag. Check out all of the right choices now in stock. For the traveler, we have new resort fashions each month. Get them now before the hot weather arrives! Deep discounts on fabulous fashions! Clearance sale now going on at Deni’s. We have deep discounts on fabulous fashions! Cruise and travel-bathing suits from Miraclesuit and others arriving monthly. Get your cruise, resort and travel fashions now at Deni’s! Remember, we have beautiful bathing suits for women of all shapes and sizes. New and fashionable French Dressing Jeans line to compliment our already-popular NYDJ jeans fashions. Here’s a little about French Dressing fashion to whet your appetite: “Jeans that inspire real women with real curves – in regular and petite proportions. Come in and try on a pair!